Family and friends of ULFA leaders Anup Chetia and Paresh Baruah await the return of their beloved son, brother and friend. Surajit Talukdar reports from Assam's Dibrugarh district. The sun is shining brightly and the heat is unbearable. The arid tea bushes in the Kharjan estate along NH-37 are craving rainfall that can save them from the unusual dry spell sweeping across Dibrugarh district in Assam's Brahmaputra valley. Suren Baruah, 80, is braving the heat and working in the land owned by his family at Jerai Chokoli Bhoria, a village tucked away deep amidst the Kharjan tea estate under Chabua police station. Suren greets me with a smile, "Aahak (come in)." As we enter Chetia's home, Suren says, "I just love the heat and sunshine that come before the rain. You need to have strong limbs to do hard work in the field." Suren, a former sailor and retired Oil and Natural Gas Corporation employee, is trying to cultivate tea on his agricultural land of 20 bighas. Chokoli Bhoria, like the rest of the tea belt in upper Assam, has several small tea gardens. Baruah wants to be a part of that growing community of tea entrepreneurs. "In the 20 years of my retirement, I have run my family on my pension. It is very difficult to manage everything. That's why I thought of the tea garden and started working on it recently. 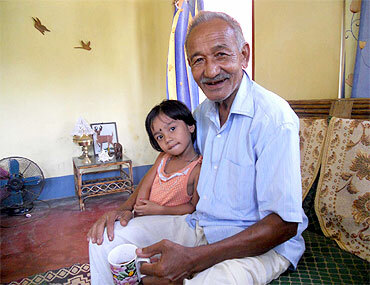 If Golap Baruah (Anup Chetia's actual name) comes back to his home, he can help me in the tea business," he says. Chetia's family knows that Prime Minister Manmohan Singh and Assam Chief Minister Tarun Gogoi's recent visit to Dhaka could give the peace process with ULFA more concrete shape. "I am happy to know that my younger brother is most likely to return from Bangladesh. I hope he joins the ongoing peace process initiated by ULFA Chairman Arabinda Rajkhowa and other leaders. I also think Paresh (ULFA leader Paresh Baruah who is against the ongoing peace talks) will soon return following Golap's footsteps," Suren adds. 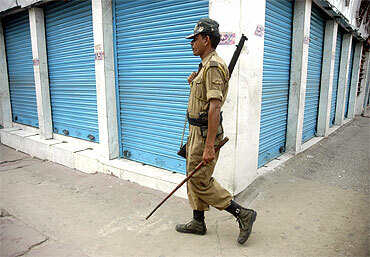 Recent reports suggest that the Bangladesh government may hand over Chetia to the Indian authorities soon. 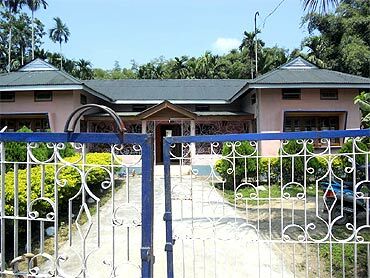 According to official sources, though the exact date for handing over the ULFA 'general secretary' is yet to be decided, the much-awaited development is likely to take place sometime in September. A team of government officials recently met Chetia in Dhaka and he is reportedly in favour of the peace process. 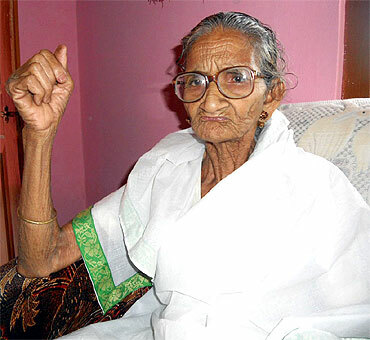 Chetia was first arrested in Kolkata in March 1991. After he was released on parole for paving the way for talks with ULFA, he fled the country. He was arrested in Bangladesh in December 1997 under the Passport Act and Foreigners Act for living illegally in that country. Even after the ULFA leader completed a seven-year jail term, he was kept in protective custody since India and Bangladesh did not have an extradition treaty. Chetia applied for political asylum in 2008. "I am happy to hear that Golap will return to India soon. My heart beats for my son Paresh. Why doesn't the government bother to bring back my son to the mainstream? All the main ULFA members went to the jungle for the same cause. I think Paresh will also return with Golap," says Miliky Baruah, the mother of ULFA's elusive 'commander-in-chief' Paresh Baruah. The octogenarian is also a relative of Anup Chetia. Anup Chetia and Paresh Baruah, who are cousins, grew up together in Chokoli Bhoria village. They were both born in 1957 and studied together at the Jerai Chokoli Bhoria Primary School. "Golapda was a very good student and had a nice handwriting," recalls Bikul Baruah, 43, Paresh Baruah's younger brother, about Chetia. "He got a scholarship in Class 4. Later, he studied in the Panitola High School and completed his BA from Tinsukia College. Golapda was a very good football player too." Bikul, who is now the headmaster of the Jerai Chokoli Bhoria Primary School, says some of Chetia's school friends went on to become teachers and state level football players. "I hope Golapda brings back my elder brother and takes the peace process to a new level. The ULFA-government issue must be settled forever. We have been seeing the pain in the eyes of our family and facing the anger of the government and the suspicion of society alike since the day our brothers went into hiding. We can't bear it anymore," adds Bikul Baruah. Suren Baruah, Chetia's elder brother, though optimistic about recent developments, shudders when he remembers the days when the ULFA movement was at its peak. "My brother joined ULFA between 1982 and 1985 when Assam was passing through its worst phase, both economically and politically. We went through a nightmare when Golap went into hiding in the jungles. The security forces were all around. They hounded our family. During those days, Golap called me up a few times from Bangladesh to find out our condition, but my landline had been tapped. Since then he hasn't communicated with us. We passed half of our lives under the shadow of the gun," he says. Chetia left his ancestral village when he was quite young. He has not been in touch with any of his family, including his six sisters, one of whom died recently. Suren Baruah visited Dhaka twice to meet his brother, who was reportedly staying in Rajsahi, three km from the Bangladesh capital, but failed to meet him. "During those days, the people in our locality used to be afraid to visit our home. Now the situation has changed. People of Chokoli Bhoria are sympathetic towards the ULFA cause and will remain the same in the future," he says. His sons -- one is a mechanical engineer, the other a farmer -- don't have many memories of their uncle Golap. One of them, speaking on the condition that he would not be identified by name for this feature, says they got to know about their uncle only through media reports. Their father maintains a file of clippings of newspaper reports on ULFA and his brother. "Golap was one of my dearest friends," says Saphi Baruah. "If he comes back, we will organise a party in the village with other old friends. We are just waiting for his arrival. He has suffered many hardships in life, but he was branded a terrorist rather than a revolutionary." 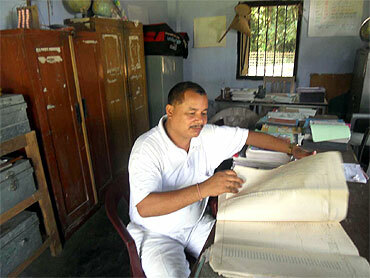 Saphi Baruah, 50, is a teacher at the Jerai Chokoli Bhoria Primary School. Suren Baruah feels the current peace process will only succeed if the Centre and ULFA adopt a flexible approach during talks. "The success of the current peace talks lies in the acceptance of the charter of demands submitted by ULFA to the central government. 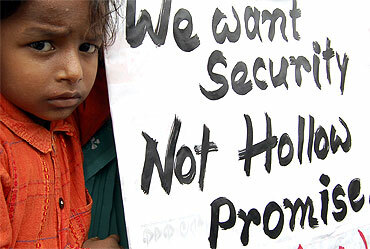 This is the last chance for the government to bring permanent peace to Assam," he feels. Amending the Constitution to protect the rights and identity of Assam's indigenous people, finding an honourable solution to the three-decade-old armed conflict led by ULFA, addressing the issue of illegal migration from Bangladesh and giving a status report on 50 missing ULFA leaders and cadres since 2005 are some of the outlawed militant organisation's important demands. Paresh Baruah has categorically rejected the charter of demands submitted by ULFA's Rajkhowa-led faction to Home Minister Palaniappan Chidambaram on August 5. In an e-mailed statement recently issued to the media, Arunudoy Dohotia, the anti-talks faction's 'central publicity wing' member, said the charter of demands prepared by the pro-talks faction was against ULFA's ideology and objectives. Arunudoy Dohotia rejected the pro-talks document, terming it as 'hogwash' in the name of a political resolution of the 'ULFA-India' conflict. "The government should start talking to my brother immediately and take all possible stepss to bring him back," says Paresh Baruah's brother Bilkul, headmaster at the primary school where Arup Chetia and Paresh Baruah had their early education. "He is the most important person to make the peace process ultimately successful," adds Bikul Baruah. Suren Baruah is ready to seek legal recourse when his younger brother Arup Chetia returns from Bangladesh. Sources told this correspondent that unlike other ULFA leaders, Chetia cannot be handed over to India informally. It will be a formal affair as Chetia is in the Bangladesh government's protective custody. "I hope there will no problem in getting a lawyer here for Golap's case," says Suren Baruah. "We have many well wishers now."